Thank you for attending my session on ed tech and the SAMR Ladder. I hope you find these resources useful. If anything’s missing, you have questions, or there’s something cool you found that should be on this page, drop me a line and let me know! What will I gain by replacing the older technology with the new technology? Have I added an improvement to the task process that could not be accomplished with the older technology at a fundamental level? How does this feature contribute to my design? How is the original task being modiﬁed? 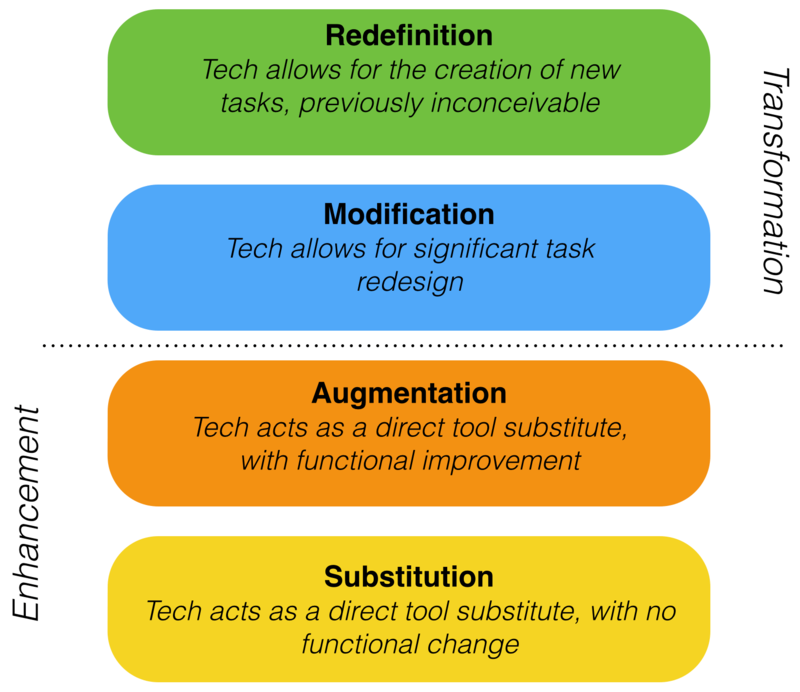 Does this modiﬁcation fundamentally depend upon the new technology? How does this modiﬁcation contribute to my design? How is the new task uniquely made possible by the new technology?